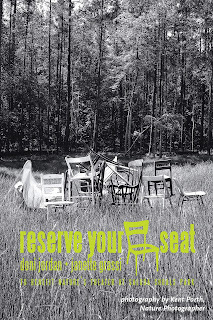 doni jordan and janette grassi are two of 35 artists juried into unearth, a celebration of naturally inspired art at Saluda Shoals Park in Columbia on Sunday, October 7, 2012 from 1-5pm. 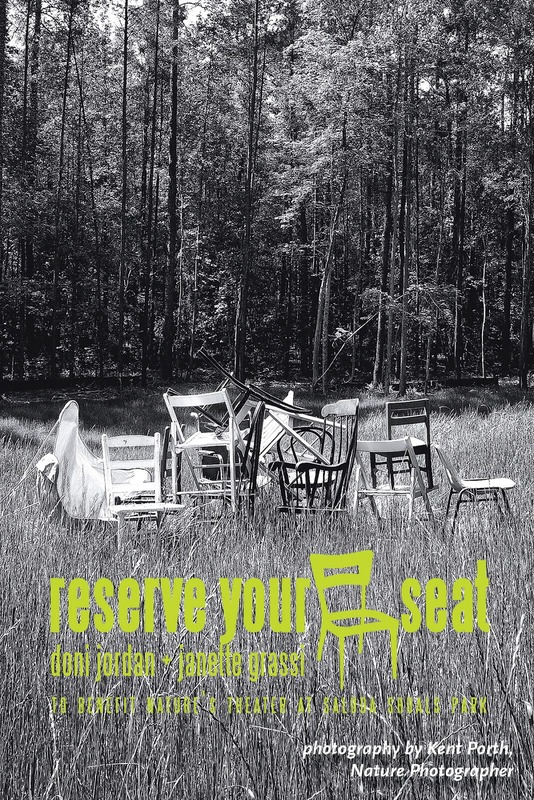 reserve your seat: doni jordan + janette grassi, an art installation of 50 painted chairs to benefit Nature's Theater at Saluda Shoals Park which was unveiled during unearth in 2011, will be featured. Small stones, a natural element, were painted using the four vibrant colors (pink, purple, orange and green) used in the original art installation and the words nature's theater were hand painted on each stone. The stones represent the support still needed to build the theater. unearth visitors will receive a stone to take home. Architectural renderings of Nature's Theater will also be on display. The small Addy awarding winning commemorative book, reserve your seat: doni jordan + janette grassi, will be available for preview.